One of the most challenging parts of an LC-MS workflow happens before analytical chemists even turn to their instrument: Sample preparation. Get it right, and the analytical run performs as expected. Get it wrong, and the assay has any number of problems, from poor sensitivity to poor reproducibility. The challenges of these pre-analytics workflows have only increased as the drug development pipeline for pharmaceutical organizations has shifted to large molecule therapeutics. Laboratories face additional challenges as the pharmaceutical business model changes. Biopharmaceuticals are larger and more complex than small molecule drugs, making their characterization and quantification more challenging. Furthermore, it is often traditional “small molecule” labs with little experience in handling large molecules that are being asked to perform these tests. The problems don’t stop at scientific expertise; organizations must also navigate through global supply chains to source dependable (and cost efficient) standards, reagents, reference materials, and other laboratory supplies that will ensure a sample preparation method can be validated and be reproducible. “What we’ve heard from many of our customers is that they are challenged with the complexity of characterizing biomolecules. They must develop the methodologies, validate them, then move the methods through their organization or to a collaborator. At the same time they must manage costs and work with their supply chains to figure out where to source appropriate materials. These challenges can create costly problems,” commented Mike Yelle, Vice President of Consumables at Waters Corporation. Waters chose to address these problems through the creation of application kits that address the most complex part of the process: Sample preparation. Building on long-standing success with kits for amino acid analysis, in 2015 Waters introduced kits for characterizing released N-glycans and for quantifying proteins in bioanalytical workflows. 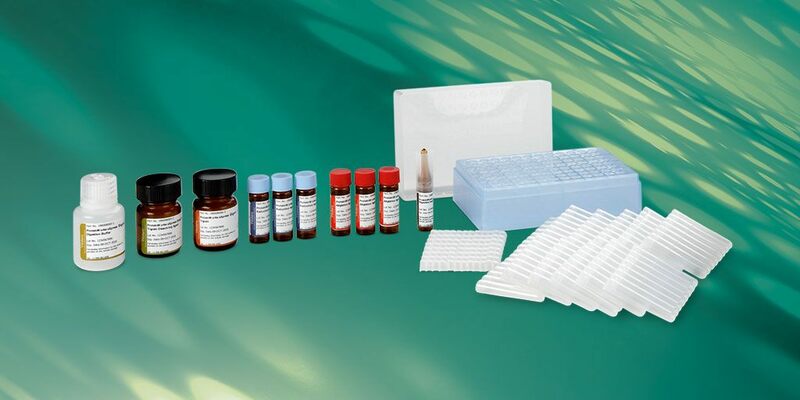 The kits include quality-control-tested standards, reagents, reference materials, and proven protocols that are designed to move laboratories quickly through the pre-analytics phase with confidence that their methods are highly reproducible and that can be validated. GlycoWorks RapiFluor-MS N-Glycan Kit, available in two options, for 24 or 48 samples. The GlycoWorks™ RapiFluor-MS™ Released N-Glycan Kit offers paradigm-changing workflow improvements compared to conventional glycoprotein characterization. With the kit, which includes a rapid labeling reagent as well as a protocol for deglycosylation and SPE clean-up, an analyst can release N-glycans and have them ready for LC-FLR-MS analysis within 30 minutes – a dramatic difference compared to conventional sample prep processes that take up to a day and a half. In addition, MS sensitivity gains can be had at up to 200X over traditional labels. Using the kit, which is available in two sizes, analysts have everything they need to characterize glycoproteins with unprecedented levels of MS or fluorescence sensitivity in conjunction with a simple, robust protocol. ProteinWorks eXpress Digest Kits, supporting a surrogate peptide approach to quantification. 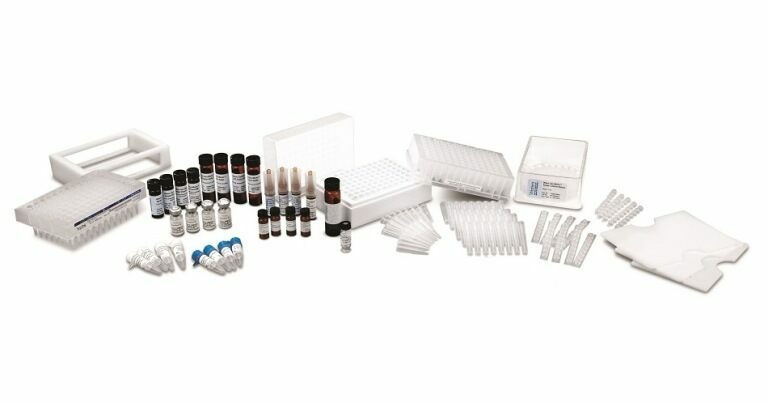 ProteinWorks™ eXpress Digest Kits contain pre-measured, lot-traceable reagents, a 96-tube flexible sample collection module and easy-to-follow protocols that enable reproducible, fast digestion and accurate, sensitive protein quantification in both immunopurified and whole, non-immunopurified plasma and serum samples. There’s an optional, optimized µElution™ SPE kit and protocol designed to increase assay sensitivity, reduce matrix interferences, and improve LC-MS system robustness. The kits are an ideal solution for laboratories performing protein bioanalysis at innovator and biosimilar firms, contract research organizations, disease research centers, hospitals and university medical centers. The exceptional single-digit reproducibility of the ProteinWorks Kits suggests that a high degree of intra- and inter-laboratory standardization is achievable, making method transfer easier and more successful. In addition, low ng/mL sensitivity for monoclonal antibodies and digestion times of as little as 10 minutes for small proteins make this an attractive and easy-to-implement option for a variety of different research areas and labs. The kits are compatible with total antibody quantification for antibody-drug conjugates. “Some of the most powerful innovations for today’s laboratories come from standardization. With our close partnership with customers, Waters is in a unique position to understand the pre-analytical and analytical processes of modern laboratories, and bring forward solutions that can simplify the most complex workflows. We’re all working together to help move therapeutics forward, faster and with more confidence,” said Yelle. This article first appeared in Pittcon Today, 3/6/2016.